I like this description of the classification of cacti because it pretty closely mirrors my intense aesthetic zeal for them paired with my minuscule botanical knowledge about them. My favorite thing about cacti is how amazingly delicate they look in groves. There’s an independence to cacti and we tend to think of them as solitary anarchists with stubborn chins pointed toward the sun, defying nature to deprive them of life. Yet whole hillsides can be blanketed with them, making you realize that everyone needs friends, even the thorny ones. 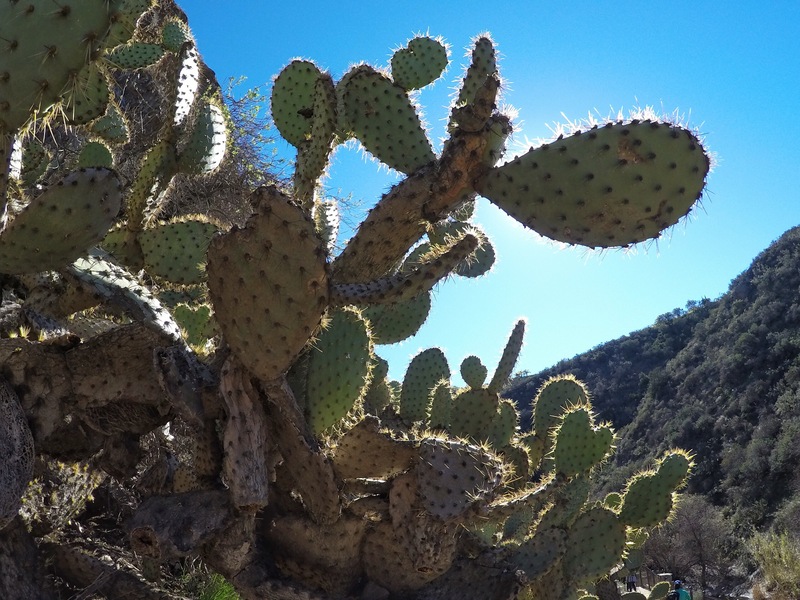 Hiking this morning in Thousand Oaks, California I was very drawn to the plump green healthy groves of cacti. The hills covered with them looked, from a distance like a thick micro fleece blanket. I spent the morning photographing them. (Unfortunately, I couldn’t capture the micro fleece blanket effect because I’m an amateur photographer at best, but if you ever manage to do so, please share the image with me.) I knelt amongst them. I crouched under them. I pushed my camera in and amongst them. Allow me to tell you how well that worked out for me. I was so excited about the cacti that I raced into them with my camera, willy nilly, like a toddler reaching across the ocean to grab a ship. 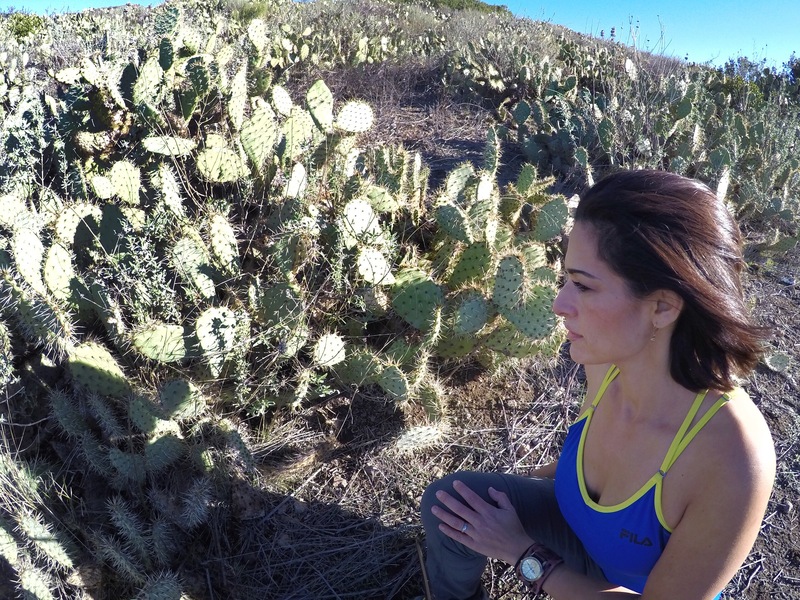 I didn’t pay a lot of attention to where I was kneeling and I kept getting impaled by cactus spines. My poor perforated legs. I pulled cactus needles out of my legs all morning. There were even a few needles left in my leg several hours later, after a 5 mile hike and a trip to the grocery store. I discovered them when I was standing in my son’s 4th grade classroom helping him collect his homework. I had to unfasten and reach down my pants to pull them out. Poor Mrs. M the 4th grade teacher. And all she wanted me to do was get out of there so she could go home. She cares not for my cactus fanaticism. 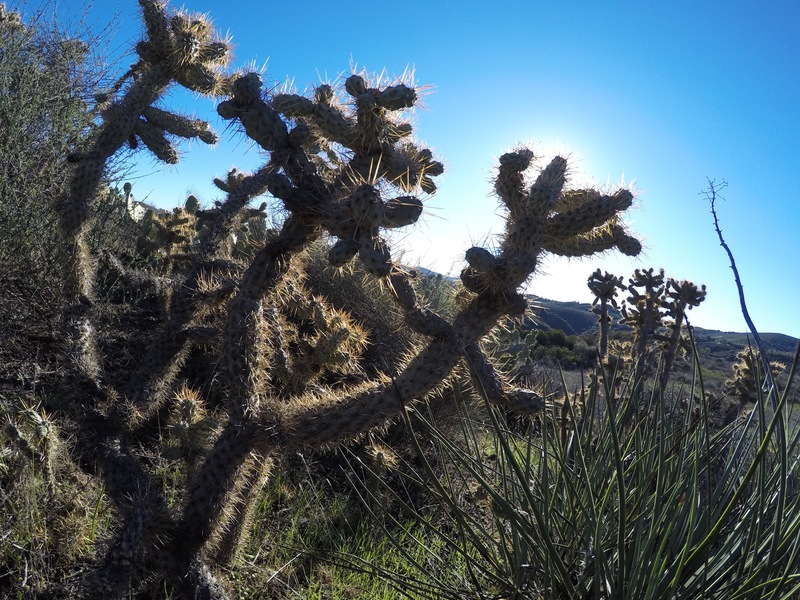 Perhaps you may appreciate a few of my snapshots of the wild and spiny west.